Amsterdam is like a beautiful dream. One of Europe’s most beautiful cities, Amsterdam has a lot to offer to all its visitors: from scenic walks to a boat tour, from shopping streets to splendid buildings, and from spectacular museums to the famous flower market and beyond. 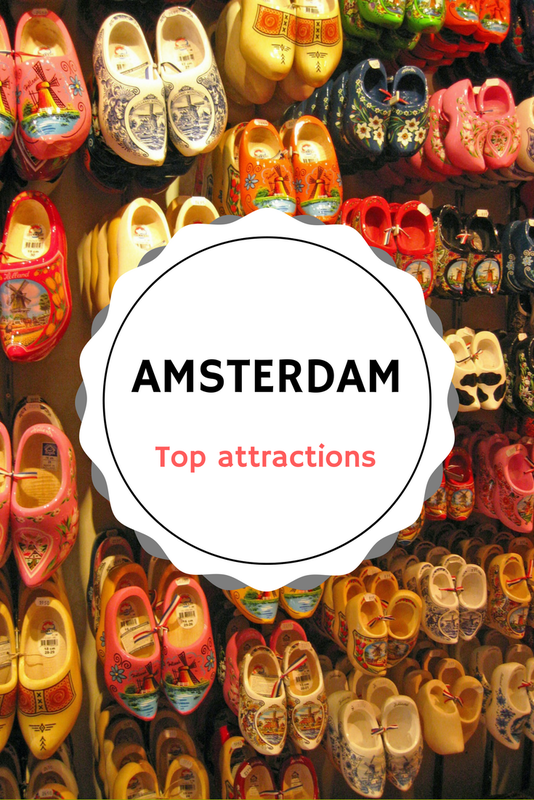 Here are the top attractions in Amsterdam for a first visit to help you better plan your trip and make sure you don’t miss anything important. The list includes items for every preference, so you’ll definitely find something to include on your list. 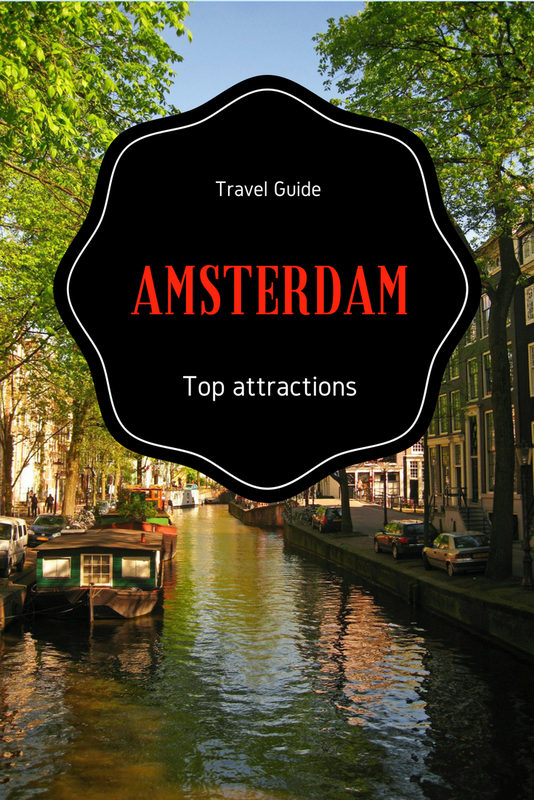 As there are numerous hotels in Amsterdam to choose from, a visit here is easy to plan! One thing is clear: I never heard anyone saying Amsterdam wasn’t worth it. A friend of mine was there a couple of years ago and she ended up walking a lot – she discovered so many great places like that – and wants to go back. My husband was there with his job for a short while, and he wants to go back. 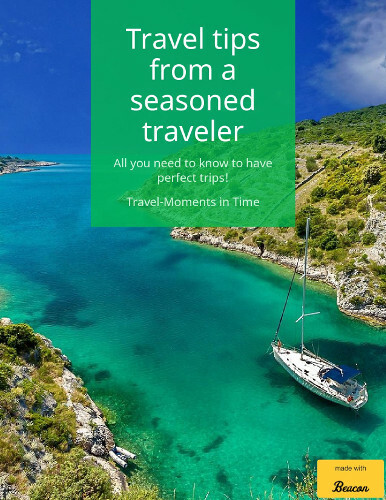 And the list could continue because the charming houses, the impressive museums, and the famous and off the beaten path attractions make this city a true European gem. 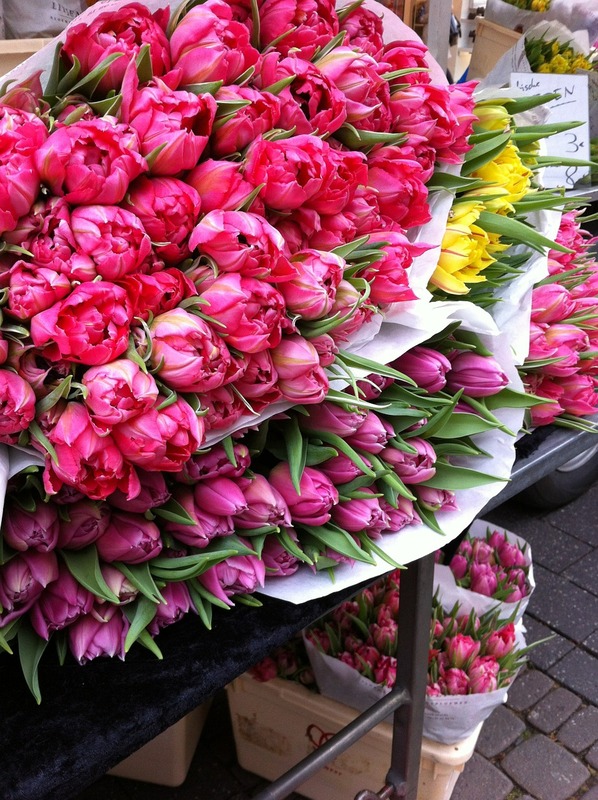 It’s one of the most impressive flower markets you’ll see. And the beautiful smell of flowers will enchant you – while the diversity of them will forever remain in your soul. You don’t necessarily have to buy flowers – though picking some bulbs for your garden, if you have one, would make a splendid souvenir, especially if you choose perene flowers! – but you cannot miss the market as it is one of the city’s landmarks. There are also some souvenir shops here – and near the flower market – that sell various products – from cheese to magnets, and more. 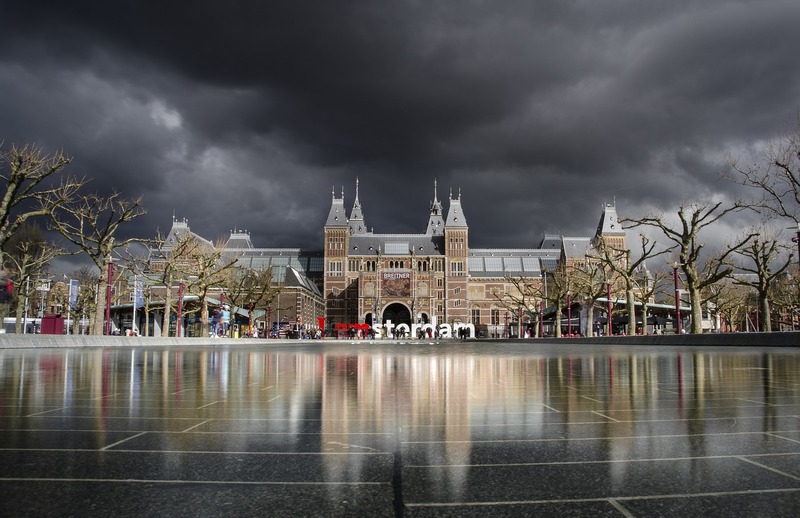 No visit to Amsterdam is complete without a visit at this comprehensive museum. The Rijksmuseum is home to the country’s largest collection of art and artefacts – paintings, books and manuscripts, sculptures, etc. Plan a longer visit here in order to be able to admire the masterpieces exhibited here. 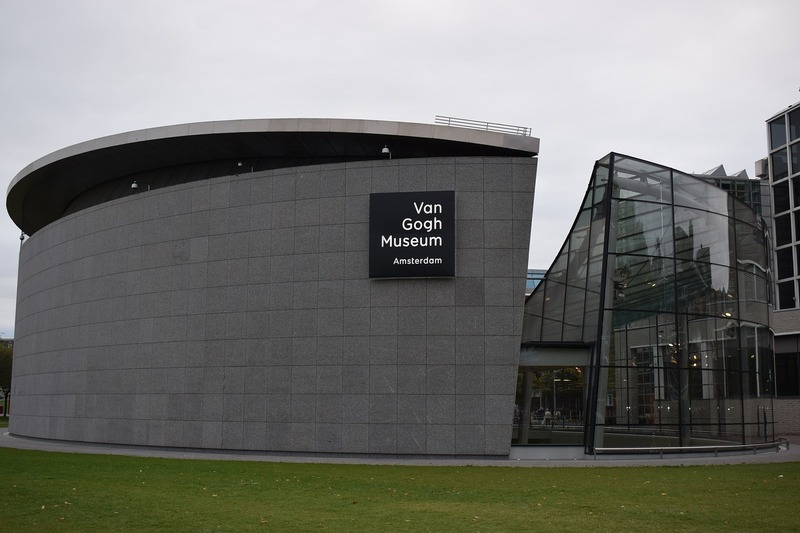 As far as I know, The Van Gogh Museum is the second most visited museum in the Netherlands (or one of the top 5). And that’s not really surprising given the huge talent of Van Gogh, his interesting and tragic life, and the influence he had in art. Now, you know I like Van Gogh (was really happy to see some of his paintings in Paris, at Musee d’Orsay), so this museum had to be on a list of must-sees in Amsterdam. In fact, even if you are not a fan of his art, given his importance in art, you could visit this museum to familiarize yourself a bit with his works. Don’t miss the chance to take a boat tour of the Amsterdam canal ring. You’ll have a nice time – perhaps it would be a much needed break from all the walking through the city 😉 – and you’ll see the city from a different angle. 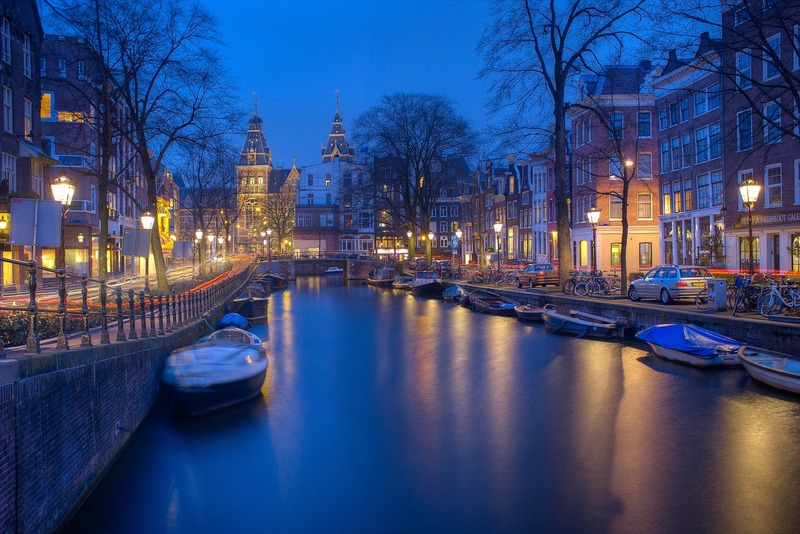 Plus, you’ll discover why Amsterdam is sometimes called the Venice of the North. If you don’t like boat tours – or want a more budget friendly way to explore them – you can always take long walks. You can also discover them while riding a bicycle – as you know, there are many bicycles to be rented as Amsterdam is very bicycle friendly. With an entrance via the Begijnensteeg, this place is perfect to get away from the hassle of the city. It’s a very quiet part – one might call it an off the beaten path attraction. Home to the oldest wooden house in Amsterdam, this group of houses is charming and organized around a central green garden you’ll love. The story of this place is also very interesting. Established as a convent in the 14th century, it was later used by the Beguines (religious women who lived here as a community). As the place has a religious background, you’ll also have the chance to see the Engelse Kerk beautiful on the inside. READ Want to visit Spain for 20 Euros a night? Another famous place in Amsterdam, Kalverstraat is a shopping “hub” where you can find pretty much anything from souvenirs to perfumes, from cafes to various galleries and small boutiques. You can also find many shopping streets out of Muntplein (a square where you can see the Munttoren – Mint Tower). If you like flea markets, then you should pay a visit to the Vlooienmarkt – a floating flea market dating back to 1806 (you’ll find various items, both used and new). 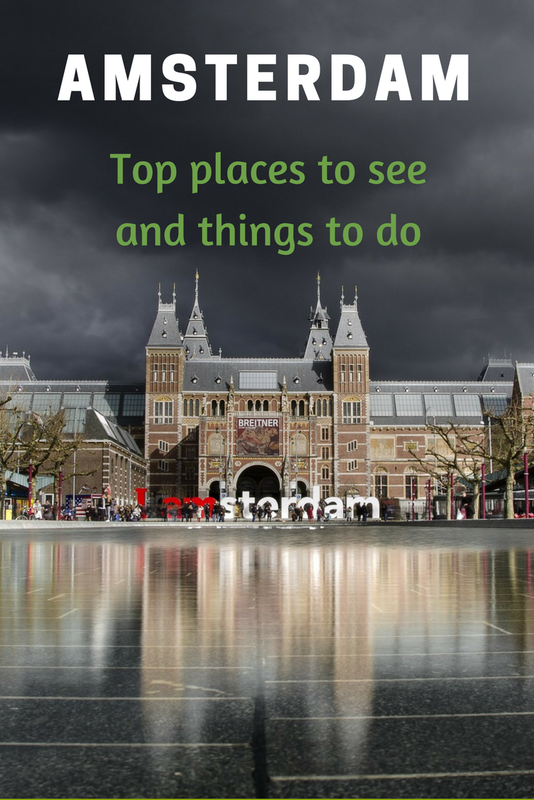 Amsterdam is home to more than 60 museums, so, if, like me, you are a museum lover, as a tip I’d recommend you to first find out the complete list of museums in the city and then pick those that appeal to your preferences. Famous museums in Amsterdam are Het Scheepvaart Museum – The National Maritime Museum, the Rembrandt House Museum, The Stedelijk: Amsterdam’s Municipal Museum (art museum focused on 19th century Dutch and French painting), the Science Center Nemo, The Anne Frank Museum (famous Holocaust victim), The Jewish Historical Museum, to name just a few. Wouldn’t you like to visit a palace that is used by the royal family? Yes, though it is open to the public most of the time, the Royal Palace is in active use by the Dutch Royal House – so a visit here is a great opportunity to get a glimpse of the royal life. Prepare to be mesmerized by the decorations and find out more about the rich history (a free mobile guide is available in multiple languages), all in a very pleasant visit. Amsterdam is a green city and has more than 30 parks. 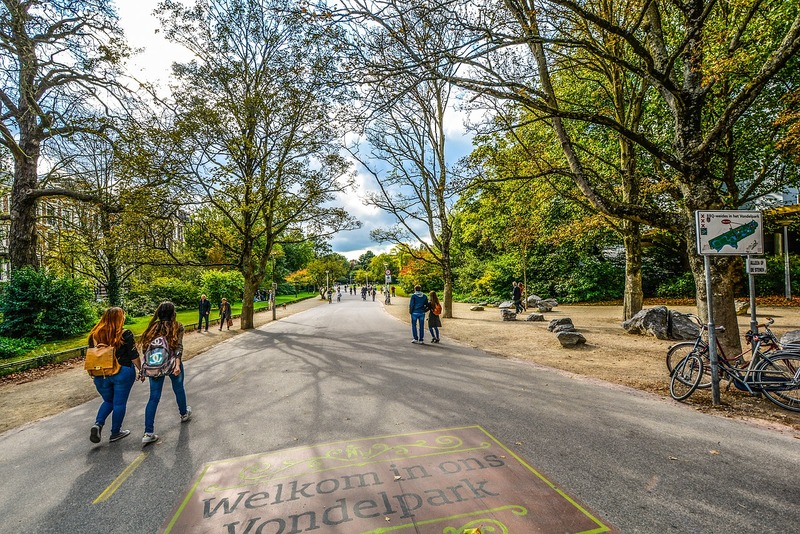 The most famous one is Vondelpark (and the largest one), but you will also find adorable the Rembrandtpark or the Westerpark, to give just two more examples of lovely parks from the numerous ones in the city. Just pick the nearest one to you, and you’ll definitely have a great, relaxing time. First used in the 13th century, The Port of Amsterdam is impressive, and if you are a fan of the everything maritime, a visit here should definitely be on your list. Take a boat cruise around the harbour and canals (if you pick one at night you’ll see the bridges and houses lit). Strolling the streets, you’ll discover some really beautiful churches, each with its special story. Among the churches to include in your itinerary are: The New Church (Nieuwe Kerk – the official coronation church of Dutch monarchs), the West Church (Westerkerk – perhaps the most famous church in Amsterdam), the South Church (Zuiderkerk – where three of Rembrandt’s children are buried), and The Old Church (Oude Kerk, built in 1306 and the first hall church in North Holland). Amsterdam is also famous for being the home of Heineken, a famous beer in many countries. There is a special tour you can take – the Heineken Experience – which includes samples, learning more about how the beer is made, and a 15-minute shuttle boat ride to the Heineken Brand Store. A perfect experience for beer lovers! As you can easily see, there are so many wonderful things to see and do in Amsterdam. The Netherlands’ capital has a lot to offer to its visitors! Not included above, but also famous, is the Red District. Also, as any other city, while taking long walks – or bicycle rides – you’ll discover more attractions, special shops, and enjoy the design of the houses, famous worldwide. Amsterdam is definitely a must visit city in Europe. It has a lot to offer, it is beautiful and educational. A city you’ll want to revisit – and one that you’ll recommend to your friends and family. These are fantastic recommendations! I love going to museums – they are always such a good way to learn about local history and culture! 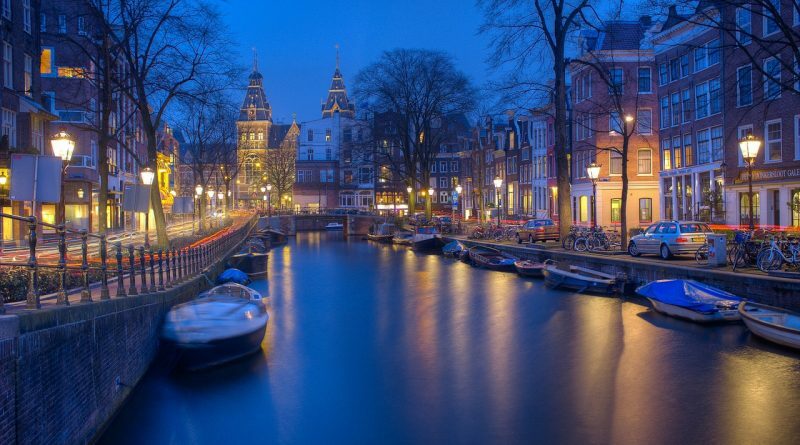 Those pictures are also gorgeous – I will be using these tips for my trip to Amsterdam! This post brings great memories of my trips to Amsterdam. There’s always something to do in this awesome city. Amsterdam is one of the places we most want to visit! It just seems so beautiful and your pictures reflect that! The Heineken experience sounds fun. I was just reading about a town nearby in the Netherlands. I’m getting the itch to get back to Amsterdam! Beautiful photos! Thanks for sharing. 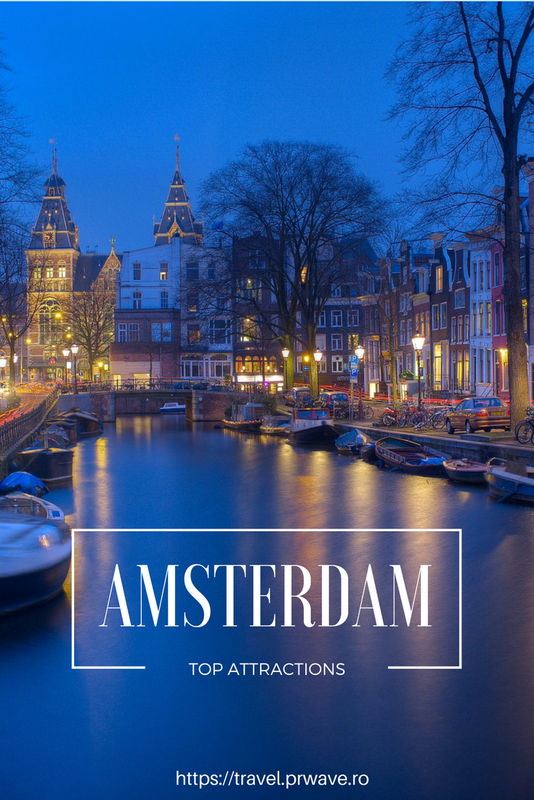 A great list of things to see and do in Amsterdam! I hear they also have bike tours along the canals which should be a nice way to explore the city as well. Beautiful city – I hope to return some day. Wonderful guide! An impressive share, I just given this onto a colleague who was doing slightly analysis on this. And he in fact purchased me breakfast as a result of I discovered it for him.. smile. So let me reword that: Thnx for the treat! However yeah Thnkx for spending the time to debate this, I really feel strongly about it and love studying extra on this topic. 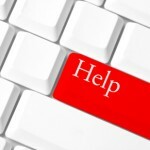 If possible, as you turn into experience, would you mind updating your blog with extra particulars? It’s extremely useful for me. Massive thumb up for this blog put up! This is the precise blog for anybody who needs to find out about this topic. You understand a lot its almost arduous to argue with you (not that I truly would want…HaHa). You definitely put a new spin on a topic thats been written about for years. Nice stuff, just great! I’m usually to running a blog and i actually recognize your content. The article has actually peaks my interest. I am going to bookmark your web site and preserve checking for new information. I’d have to check with you here. Which is not one thing I normally do! I enjoy reading a post that will make individuals think. Also, thanks for allowing me to comment! I used to be very pleased to seek out this web-site.I needed to thanks for your time for this excellent learn!! I undoubtedly having fun with every little little bit of it and I’ve you bookmarked to take a look at new stuff you blog post. I’d need to test with you here. Which isn’t something I normally do! I take pleasure in reading a post that may make individuals think. Also, thanks for allowing me to remark! Good post. I study one thing more difficult on totally different blogs everyday. It would all the time be stimulating to read content from different writers and practice somewhat one thing from their store. I’d favor to use some with the content on my weblog whether you don’t mind. Natually I’ll offer you a link on your net blog. Thanks for sharing.